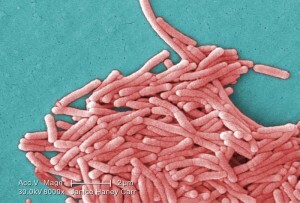 Hong Kong health officials are investigating an additional case of Legionnaires’ disease (LD) affecting a man aged 77. The patient, with underlying illnesses, has presented with limb swelling and shortness of breath since January 10 and was admitted to Pok Oi Hospital for management on the same day. His condition deteriorated and he was transferred to the Intensive Care Unit with intubation on January 15. The clinical diagnosis was pneumonia and he is now in critical condition. His urine sample tested positive for Legionella pneumophila serogroup 1 antigen upon laboratory testing by the CHP’s Public Health Laboratory Services Branch. Initial inquiries by the Hong Kong CHP revealed that the patient had no recent travel history. Investigations are proceeding. This is the fifth LD case reported to the CHP this year. In 2014 and 2013, 41 and 28 cases were recorded respectively. People may get infected with Legionella when they breathe in contaminated droplets (aerosols) and mist generated by artificial water systems. They may also get the infection when handling garden soils, compost and potting mixes. The disease is not transmitted by person-to-person contact, eating or drinking. As a blindperson your pages need an email. I run the support group for legionnaires disease plus the Discussion group for the dise which has some of the worlds experts as members. I have to use a screen reader. my pages are not right at the moment. Try to subscride to your pages, its a no no for me.To find more about me, do you know Dr Janet Stout, and Dr Yu.